Carbon nanotubes and graphene exhibit extraordinary electrical properties for organic materials, and have a huge potential in electrical and electronic applications such as sensors, semiconductor devices, displays, conductors and energy conversion devices (e.g., fuel cells, harvesters and batteries). In electronics, other than electromagnetic shielding, one of the first large applications for CNTs will be conductors. In addition to their high conductance, they can be transparent, flexible and even stretchable. Here, applications are for displays, replacing ITO; touch screens, photovoltaics and display bus bars and beyond. Companies that IDTechEx surveyed for the study report growth rates as high as 300% over the next five years. Depending on their chemical structure, carbon nanotubes (CNTs) can be used as an alternative to organic or inorganic semiconductors as well as conductors, but the cost is currently the greatest restraint. However, that has the ability to rapidly fall as applications grow. Interest is high as CNTs have demonstrated to have carrier mobilities which are magnitudes higher than silicon, meaning that fast switching transistors can be fabricated. In addition, CNTs can be solution processed, i.e. printed. In other words, CNT will be able to provide high performing devices which can ultimately be made in low cost manufacturing processes such as printing, over large areas. Challenges are material purity, device fabrication, and the need for other device materials such as suitable dielectrics. However, the opportunity is large, given the high performance, flexibility, transparency and printability. IDTechEx has researched 78 companies and academic institutions working on carbon nanotubes and graphene, all profiled in the report. While manufacturers in North America focus more on single wall CNTs (SWCNTs); Asia and Europe, with Japan on top and China second, are leading the production of multi wall CNTS (MWCNTs) with Showa Denko, Mitsui and Hodogaya Chemical being among the largest suppliers. The split of number of organizations working on the topic by territory is shown below. A number of companies are already selling CNTs with metallic and semiconducting properties grown by several techniques but mostly as raw material and in limited quantities. However, the selective and uniform production of CNTs with specific diameter, length and electrical properties is yet to be achieved in commercial scale. A limitation for the use of CNTs in electronic applications is the coexistence of semiconducting and metallic CNTs after synthesis in the same batch. However, several separation methods have been discovered over the last few years. There are still some hurdles to overcome when using printing for the fabrication of thin carbon nanotube films. There is relatively poor quality of the nanotube starting material, which mostly shows a low crystallinity, low purity and high bundling. Subsequently, purifying the raw material without significantly degrading the quality is difficult. Furthermore there is also the issue to achieve good dispersions in solution and to remove the deployed surfactants from the deposited films. Graphene and MWCNTs are already in fairly high production - tens of tonnes per year. The amount of MWCNTs produced in 2008 was about 100 tons in total from companies such as Bayer and Showa Denko. In 2009 the amount delivered are expected to double. However, most of these uses are for non electronic/electrical products, or simple applications such as electromagnetic shielding. The commercialization of SWCNTs, relevant to all the electronics described in this report, is still in its infancy but progressing rapidly. 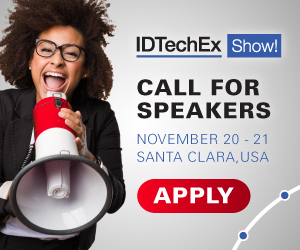 This new IDTechEx report focuses on the latest progress of applying these materials to electronics applications, covering activities of major developers, target markets, what is still needed and market potential. For full details about the report please see www.IDTechEx.com/nano. For those involved in making or using carbon nanotubes, or those developing displays, photovoltaics, transistors, energy storage devices and conductors and want to learn about how they can benefit from this technology, this is a must-read report.